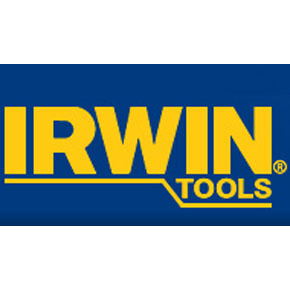 Renowned manufacturer of hand tools and power tools accessories IRWIN® Tools have outlined its top five products they believe every tradesperson should have in their armoury. Irwin have an extensive range of handsaws; the Jack Plus Handsaws range includes a fine, ultra-fine, coarse and coated version. The PLUS 770 Coarse, suitable for cutting laminated boards, plasterboard, green wood and fast ripping cuts and the Coated handsaw, which cuts through a range of building materials including soft wood, MDF, hardwood chipboard and plywood. One-handed bar clamps, of which Irwin invented the first of its kind, are an essential tool for any tradesperson; with superior clamping performance, its variety of QUICK-GRIP® One-Handed Bar Clamps (OHBC) and accessories offer an all-in-one tool for woodworking endeavours. The Heavy-Duty and Medium-Duty OHBC can sustain 272kg and 136kg of clamping force respectively, with the OHBC line now including seven accessories so that one tool can be used for even more tasks on the job, increasing efficiency and productivity. Marples Chisels encapsulates a lengthy tradition of craftsmanship, with supreme performance and precision assured, with the most intricate or demanding tasks effortlessly easily tackled. The range includes the High Impact Chisel, Splitproof Bevel Edge Chisel, All-Purpose Chisel with Striking Cap, Blue-Chip Bevel Edge Wood Chisel, and Firmer Chisel. Vital for any toolkit; the IRWIN® VISE-GRIP locking pliers are constructed using high-grade heat-treated alloy steel to provide maximum toughness and durability, with hardened teeth designed to grip from all angles. And as far as knives and blades are concerned, Irwin possess a huge range, featuring folding, safety, and snap off knives. It also devised the Bi-Metal Trapezoid and Snap off Blades, to be used with this range. Formed by welding high-speed steel edge, Bi-Metal, together with spring steel, provide a safer tool. This is because they do not break under normal working conditions and also lower injury risk due to breaking or shattering blades.